Tensions run high as a saboteur begins to wreak havoc at the Boston Naval Yard. America is on the brink of entering the second World War and there are those who will stop at nothing to make sure the nation stays out of it. Mary Stirling is content with her job as a secretary at the Boston Naval Yard, so long as she can stay out of the spotlight. Mary is determined to remain in the shadows and keep her pride suppressed. On her journey, she learns that using the talents and gifts that God has given her, is not a sin. And it brings glory to the One who gave her those gifts. The last thing Mary expected was Ensign Jim Avery, a childhood friend now assigned to the USS Atwood. As they investigate the strange goings on at the Naval Yard, they become increasingly attached to one another. But will they ever get to tell each other how they feel? Or will they be separated forever? favorites. Watch the photo shoot for the cover here. I could not stop reading this book. I was hooked from page one! There is so much going on in the story line that there is never a dull moment. It was interesting to watch Mary and Jim's relationship grow. There were a few times that I got very upset (you'll know what I'm talking about when you get there), but Sarah did an excellent job of bringing it all together in the end. The history within these pages is incredible. Although the author did take some creative license, she explains it in her notes at the end. Overall an excellent read and one I will be sharing with my friends! 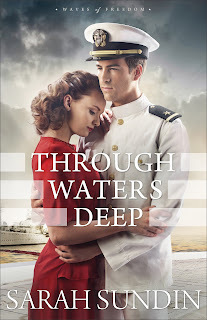 Through Waters Deep is the beginning of Sarah Sundin's third series, but the first book of hers that I have read. I look forward to reading the rest of her books! 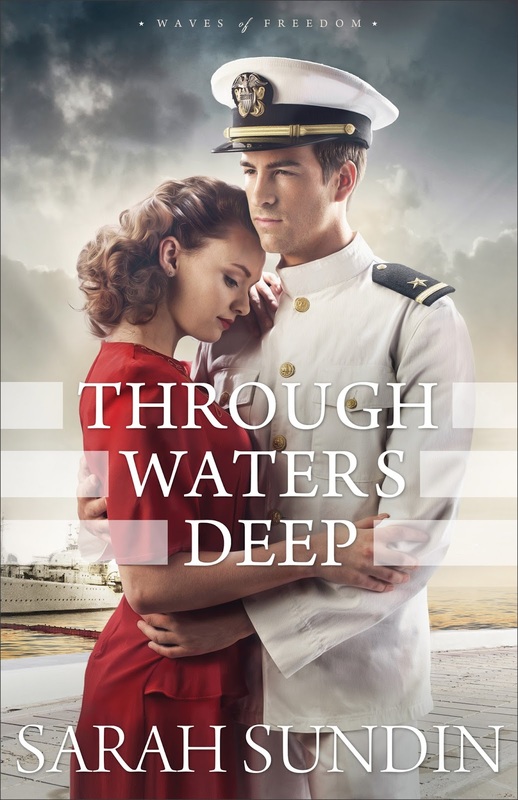 I received a free copy of Through Waters Deep from Revell in exchange for my honest review. My opinions are mine alone. 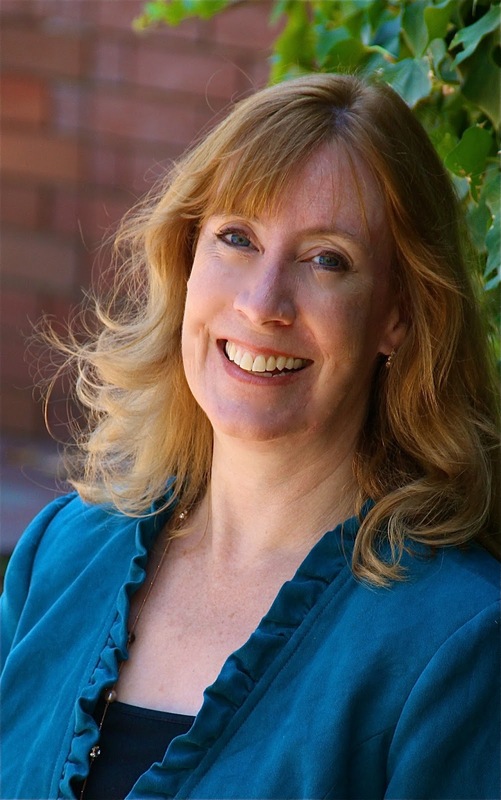 Sarah Sundin is the author of Through Waters Deep and Anchor in the Storm, as well as the Wings of the Nightingale and the Wings of Glory series. A graduate of UC San Francisco School of Pharmacy, she works on-call as a hospital pharmacist. During WWII, her grandfather served as a pharmacist’s mate (medic) in the Navy, and her great-uncle flew with the US Eighth Air Force. Sarah lives in California. Thank you so much for the lovely review, Rachel! I'm glad you enjoyed Jim & Mary's story! You are so very welcome! I can not wait for the second book!